Maša Jazbec (SI), is an intermedia artist, curator and academic researcher. She holds a Ph.D. in human informatics, attained at the University of Tsukuba (Empowerment Informatics program) and MA in interactive art, achieved at Interface Culture program at the University of Arts and Design Linz, Austria. She is engaged and committed to the vision and execution of the Trbovlje New Media Setting project in Slovenia, and organizes projects and events integrating science, art, technology and society at the international new media culture Speculum Artium festival. She was a visiting researcher at Ishiguro Laboratory at ATR, Kyoto in Japan. Her projects, exhibited as artworks, have always shown her understanding of new media as a research artistic practice, stemming from artistic and scientific thought, linked to the current situation in the contemporary society. Her latest research interests are mostly focused in social robotics and android science. 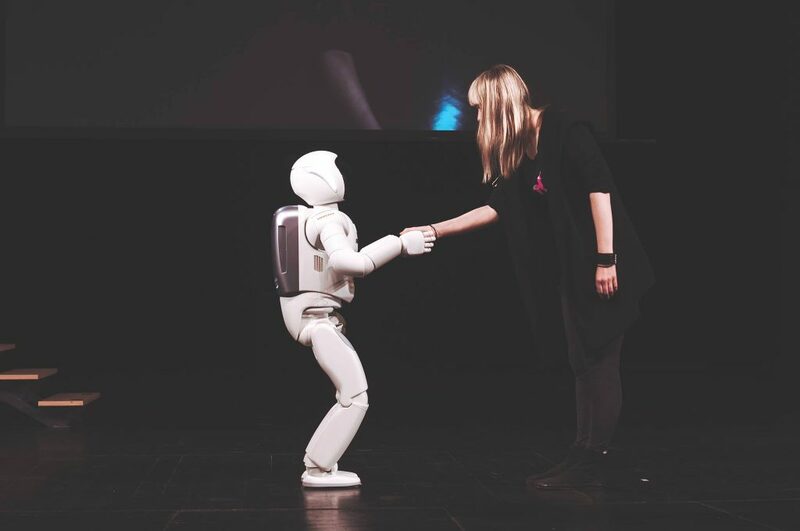 She presented her research at conferences such as Computer Human Interaction 2016, Human Robot Interaction 2017, ISEA 2017 and System Man and Cybernetics IEEE 2017. In 2018 she was in the Prix Ars Jury for ‘Interactive Art +’ category at Ars Electronica. She is currently a guest professor at Interface Culture lab at University for Arts and Design Linz, Austria.